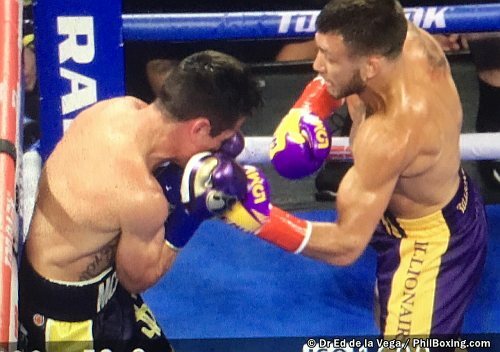 Pound for pound boxer Vasiliy Lomachenko dominated Anthony Crolla over four rounds, sending the hapless Brit to the canvas with a right cross to the head to end the fight in round four to retain his WBO/WBA lightweight belts at the Staples Center Friday night (Saturday in Manila). 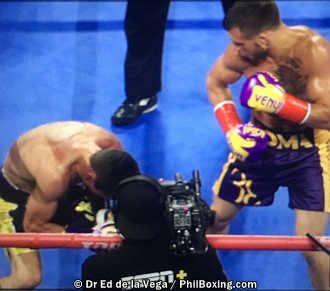 Lomachenko's swarming style left no room for Crolla to have breathing space as he was on his backfoot all night throwing very little punches to have any threat to the Ukrainian champion. 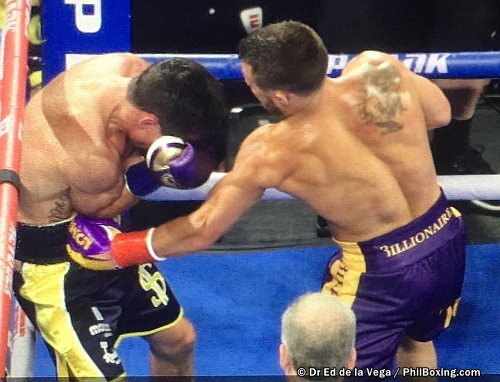 Veteran referee Jack Reiss counted Crolla for a knockdown in the 3rd round as Crolla was pinned in the ropes unable to throw a counter punch as Lomachencko threw combinations after combinations. 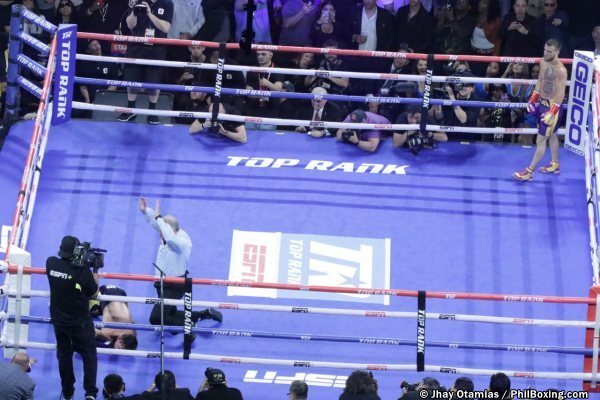 With a broken nose, Crolla finally fell like a log when he was hit with a crushing right to the head by Lomachencko at 0:58 of round four.